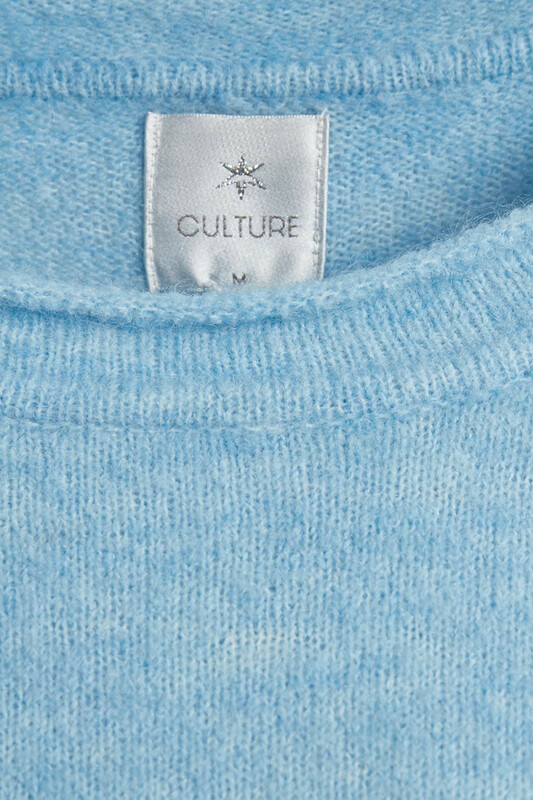 Absolutely wonderful and pleasant jumper from Culture. Really a lovely thing! 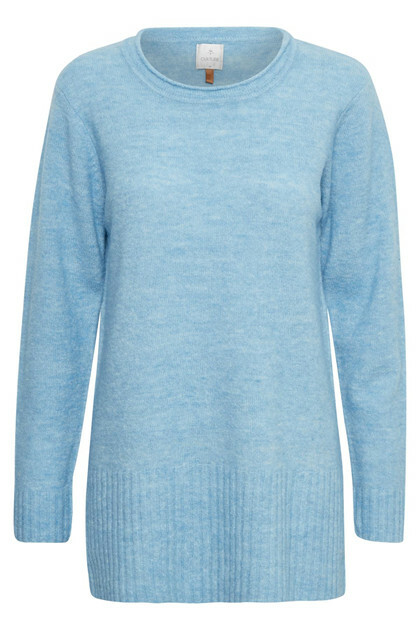 It has a good stretchy quality and a comfortable wool blend. 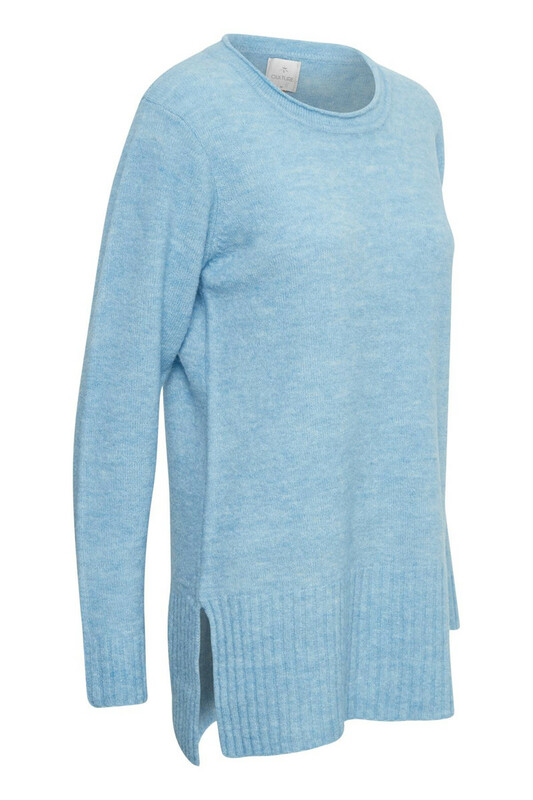 The long sweater has a regular fit, a round neckline and fine knit details. The neckline has a discrete knit pattern and a more eye-catching knit at the bottom of the jumper and it has slits on both sides. 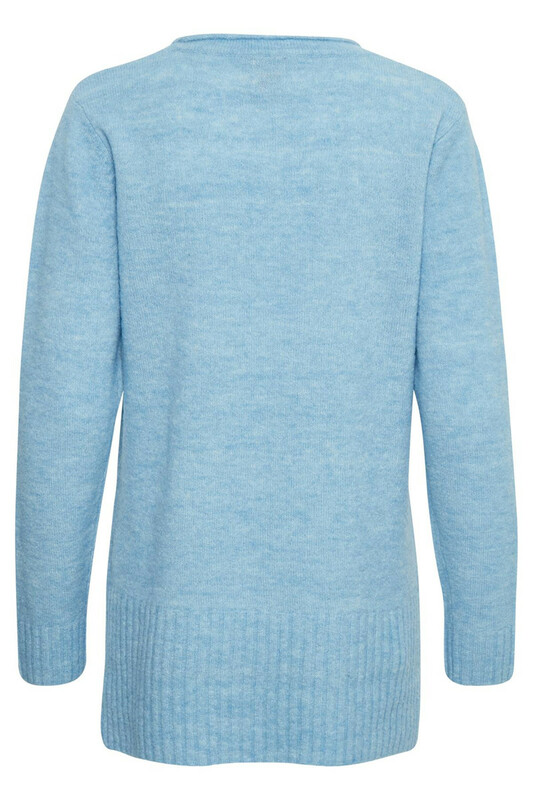 This jumper shirt is perfect for spring and works great with a pair of cool jeans.